think about it being April 1st until there were some confused comments on Facebook, but unfortunately it was really happening. I’ve been thinking a lot about those days. The sweet nurses with their white tights and paper hats. The medication that made it so I couldn’t think straight, gave me a headache if I tried to write or draw. The awful doctor and the electro massage. The food that tasted great at first and yet somehow got less appetizing every day. The silver lining was visits from friends, and that’s been something that really has resonated throughout this past year. It’s been a really hard year for a lot of reasons, and I’m still recovering from all that’s happened. 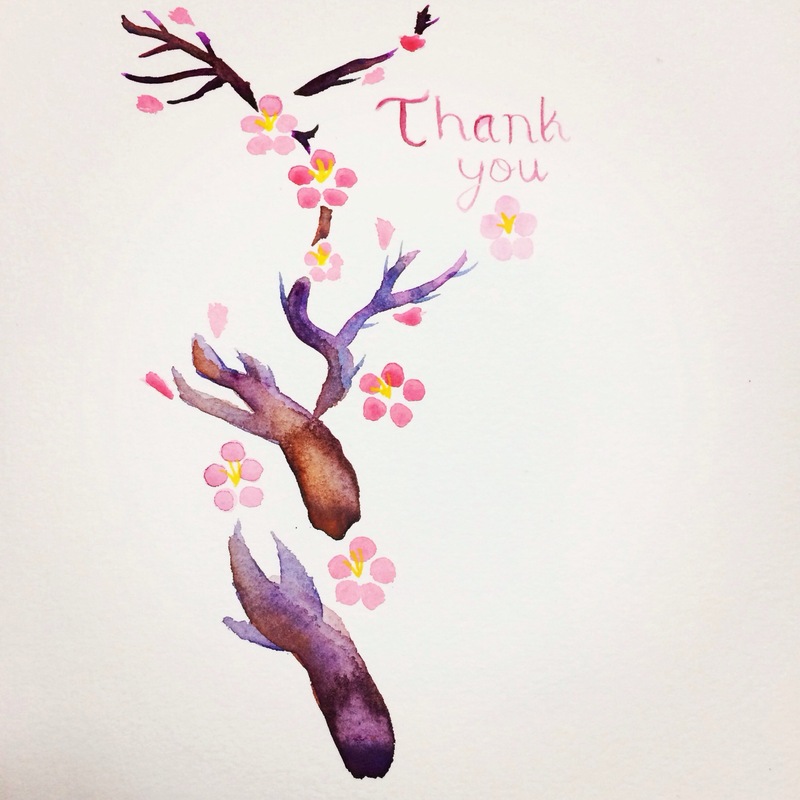 I’ve been so grateful for all the support from friends near and far, so I thought it would be nice to make this little painting as a thank you to everyone that’s been kind to me, in big and small ways. Oh my god I don’t think I ever heard about that – how awful. Glad you’re back and blogging now! Oh no! So glad you’re better now! What a beautiful painting.